This adorable 10kt white gold Destiny ring is perfect for a mother's ring. 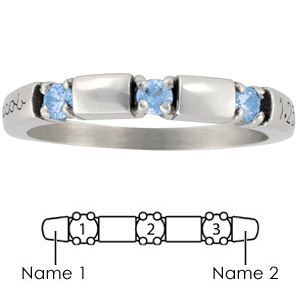 Choose three genuine birthstones to represent your loved ones. Three 2.4mm round stones and two engraving areas. Ring measures approximately 3mm at top widest measurement. Import.